The English translation now available as a book from Amazon. Abstract: Over a thousand years ago, the Persian physician and chemist Abu Bakr Muhammad ibn Zakariya al-Raziwrote a laboratory manual in Arabic called the Kitab al-Asrar or Book of Secrets. His systematic book describes procedures in terms of required chemicals, equipment, and processes, without the theoretical or allegorical digressions that characterize many alchemical manuals. In the early twentieth century, science historians Julius Ruska and Henry Stapleton were greatly impressed by al-Razi’s scientific approach. More recent histories, however, usually treat serious laboratory texts as a development of early modern Europe. I have translated al-Razi’s book into English from Ruska’s 1937 German translation of the Arabic text. I argue that it embodies the methodological organization of a modern laboratory procedure manual. In this thesis, I first analyze the historical significance of the Kitab al-Asrar and its relationship to medieval European alchemical texts. Next, I examine its contents and show how its strategies forreproducibility share a common pattern with modern laboratory manuals. Laboratories today analyze virtually everything we touch from the food we eat to the clothes we wear. Yet the basis of laboratory testing, the procedure manual defining equipment, materials, and procedures, is demonstrated in a tenth-century alchemic handbook. I am a PhD candidate at Leeds University in the UK. Working on theatre laboratories – a definition and a history. I am in some ways tracing the history of science and the history of theatre through the lens of the laboratory — if such a thing is possible? I am very interested in your thesis and wondering if there is any possibility of reading the full manuscript? Congratulations on your recent Cal State Fullerton Giles T. Brown Outstanding Thesis Award! Have you heard of Sue-Ellen Case’s “Performing Science and the Virtual”? You may find it enjoyable reading. I am very interested in early alchemical texts and wonder if it is possible to obtain a copy of your translation of al-Razi’s book? I’ve been looking for al-Razi’s books translated to english. Is it possible to get a copy of yours? I’m researching about the metallurgical aspects of Al-Razi’s books. I read your article ”the Kitab al-asrar: an alchemy manual in tenth-century persia” and I find it very interesting. now I wonder if there is any possibility to get the copy your thesis? Thank you for your interest in al-Razi and in my thesis. I would be happy to send you a copy. I will contact you at your email address. I share the same interests in metallurgical aspects of al-Rhazi’s work expressed some days ago by another reader, Mr. Iman Taji. As him, I also wondering if there is any possibility to get a copy of your thesis as, from the article, it seems to be of a great interest. I am happy to share my thesis in the hope that it will encourage more interest in al-Razi and his work. All I ask is that you let me know your location, academic connections, and the nature of your interest in al-Razi. I’m in London, finishing my PhD thesis in archaeomety. My main interest is in medieval Italian metallurgy, and at what extent that was influenced by Islamic technology knowledge and practice. Please do not esitate in contact me by mail. I’m working on the early history of chemistry and I would like to study the al-Razi’s book in english (what a useful thing this translation !). Please contact me by mail. Thank you for your interest in my translation. I will send you an email today. I research and recreate ancient and early-modern recipes for beauty and skin products within the living history community. I have long sought this particular al-Razi book because it is reputed to contain the earliest recorded recipe or description of bar soap. I have been unable to find either an Arabic language version or an English translation. Is your translation for sale somewhere? Or, can you tell me if I am on the right track, and if there is, in fact, a soap recipe in this book? I would be grateful for any assistance or directions on how to acquire a copy of your translation. I don’t recall finding a recipe for soap in this book. Al-Razi was mainly interested in making silver and gold. However, one of the intermediate steps may include a kind of soap. I’ll email a copy to you so that you can look for yourself. Thank you for your interest in my translation. I am very impressed with your blog. You were always soooo smart. Hi Julie! Yes, of course I remember you! I think of you often too! I’ll get in touch by email. It would be so fun to get together and catch up! All searching for an English translation of al-Razi’s Book of Secrets lead me back to you and your thesis. I would be very interested in reading this document and if possible, adding a copy to my collection. By now you may be seeing enough interest in the subject to consider publishing your translation? Thank you for you interest in my thesis and translation. You are quite right. The inquiries that continue to come in about this translation have led me to consider making it available by self-publishing it through Amazon. I am working on this project now. In the meantime, if you would like a copy emailed to you, I just ask you to tell me where you are located, academic affiliation (if any), and the nature of your interest in al-Razi. I have had the honor of hearing from people in at least ten countries by now with a variety of interests. Your email address looks somewhat generic. If I write to Max at the Thunderbird address will it reach you? Thank you! Yes, the email will get to me directly (generic to lesson spam). No direct academic affiliation since I graduated. My studies in Alchemy began in college, and helped my get through all those chemistry classes ( my mind does not memorize formulas for the sake of memorization, but if I understand concepts, I can see patterns in which the obscure becomes obvious). Since then, Alchemy has remained a hobby and occupies an entire book case. al-Razi keeps being referenced in a book I’m working through now, so I feel compelled to follow up on him. Thank you again, and good luck with the publishing. There are some print on demand publishers that seem reasonable. Al-Razi gave in his book ‘Kitab al-Asrar’ two methods for making kerosene from crude oil, one using clay as an absorbent and another using sal ammoniac (ammonium chloride). He has also said that the distillation is to be repeated until the distillate is perfectly clear and ‘safe to the light’. Does this mean, in modern terminology that the volatile hydrocarbon fractions had been substantially removed? I shall be most grateful for your prompt reply. Thank you for your interest in the chemistry of al-Razi. Unfortunately, I am not qualified to answer this question. My analysis covers his procedures and methodology, but not the material results of the chemical reactions themselves. Perhaps a specialist in organic chemistry would be able to help. Thank you very much for your prompt and kind reply. Maybe you can help us with this query: Did Al-Razi actually mentioned distillation of crude oil or Nafta (Naphta) in his books? 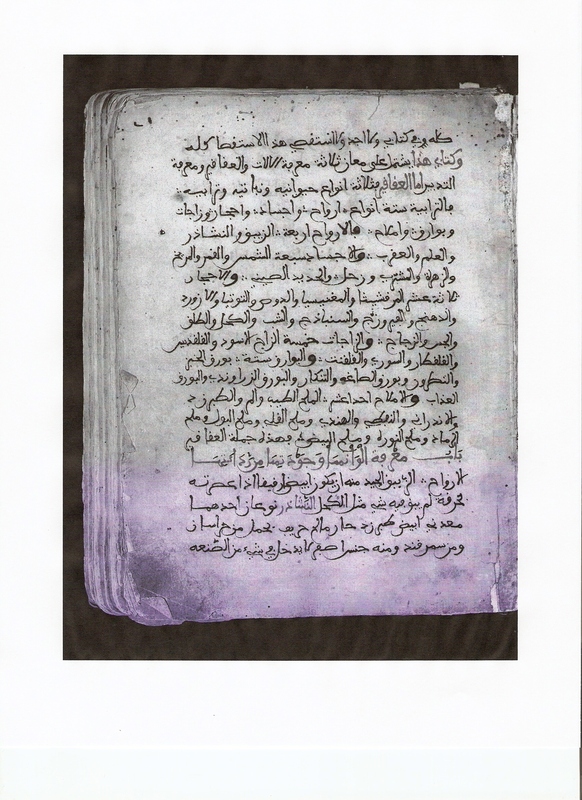 Also if it is not much to ask, can you help us to find an edited version of his Kitab al-Asrar manuscript? Later he writes: “Make naphtha into a paste with an equal amount of sal ammoniac and distill it. Do this with it until it distills like water and absolutely does not ignite a fire. Another way. Take black naphtha and make it into a paste with white clay, until it is like a soup and distill it. Do this until it distills like water and does not light a fire.” This is similar to your reference in your first comment. He also mentions naphtha lamps several times and uses distilled naphtha in several other procedures. But that is what I love about this book–how the procedures are interrelated. This quotes are from my translation which I plan to publish in 2-3 months. This is excellent! Thank you so much for your kind assistance and helpful findings. On the behalf of Muslim Heritage, we wish you great success in your work/book. Dear Mohammedhack, Thank you so much for your interest. 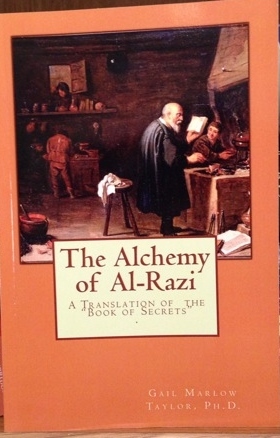 Fortunately my book, The Alchemy of al-Razi: A Translation of the Book of Secrets, is now available through Amazon in the U.S., Canada, Europe, and the UK. It has a comprehensive bibliography which will help you get started in your search. For example, The Fihrist by al-Nadim lists al-Razi’s works. Good luck in your research. Further to Adil’s message above, do you know where one might find a translation of Al Razi’s “Sirr Al-Asrar” ? I am interested in it’s content versus the book you translated, all references I find say that it is a very abridged document that covers much of the Kitab Al-Asrar’s content without much detail, but I would really like to know for myself! If you do not know of an English translation, do you know of any other translations I might be able to look up? 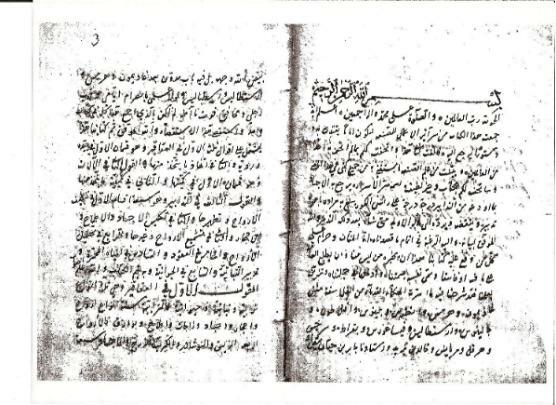 NLM has a copy of the “Sirr Al-Asrar” and mentions four other known copies, three in Iran and one in Tashkent. There is additional information on the web site plus references which might lead you further. I hope this helps you in you search. Best of luck to you. Can you please send a copy of your thesis about Al Razi. Dear Dr. Said Sabbagh, Thank you so much for your interest. Fortunately my book, The Alchemy of al-Razi: A Translation of the Book of Secrets, is now available through Amazon in the U.S., Canada, Europe, and the UK. It is my complete thesis including the bibliography. I just bought your book and it is wonderfull. This is the finest book on the subject of alchemy. I found the ms arabe 700 but wondering if you would have MS gottingen. I would appreciate if you could help me with it. Dear Syed Rahman, Thank you so much. I’m glad you enjoyed my book. As to the MS Gottingen, I will reply to your email address. I read this book and was very intresting with a lot of information on chemistry/alchemy and science, and authors research and hardwork shows in this book. If possible, would you be so kind to share me some chemistry/alchemy manuscript copies you have in your collections to my email id?. I read your book and it is very great, and now i am thinking to learn more about this subject. Is it possible you to share manuscripts or copy of books on alchemy/medicines you would have obtained during your research? I appreciate your help in advance. Thanks. !